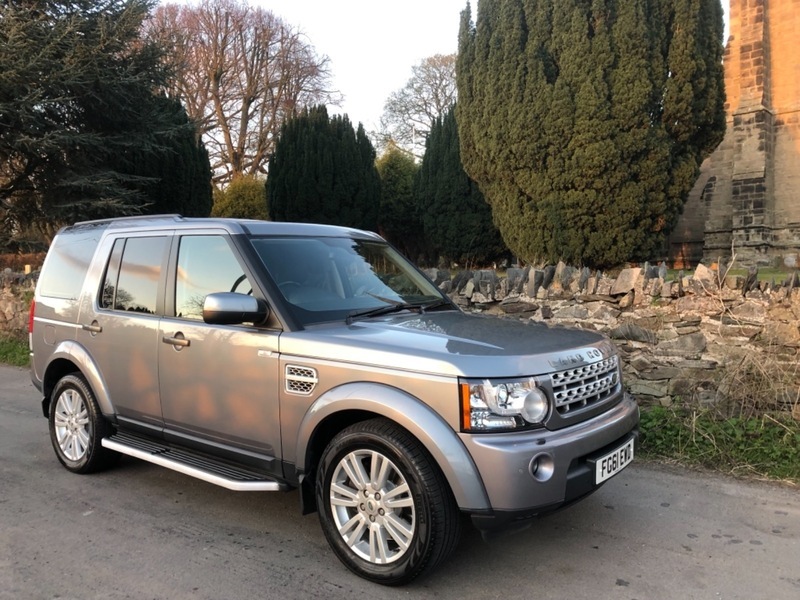 **NOTHING TO PAY UNTIL JUNE 2019**THIS FANTASTIC LAND ROVER DISCOVERY SDV6 7 SEATER 4X4 HAS JUST ARRIVED INTO STOCK WITH US HERE AT GETACAR. SOURCE - We are fortunate enough to have acquired this vehicle from a close friend of the business. CONDITION - It has been incredibly well maintained by its 2 former keepers from new. The vehicle has FULL SERVICE HISTORY, and has covered a guaranteed 86,980 miles. PRESENTATION - It looks stunning presented in METALIC GREY, and it is complimented by FULL BLACK LEATHER Interior that is in Fantastic condition for its age and mileage. SPECIFICATION - It benefits from OUTSTANDING FULL ON Specification including: TOUCH SCREEN SATELLITE NAVIGATION, DAB RADIO, FRONT HEATED LEATHER SEATS, 7 SEATS, PRIVACY GLASS, KEYLESS START, BLUETOOTH, ADAPTIVE XENON HEADLIGHTS, CLIMATE CONTROL, HARMON KARDON AUDIO SYSTEM, FRONT AND REAR PARKING SENSORS, Plus Much, Much, More, GETACAR- We offer fantastic part exchange valuations, industry leading extended warranties, and all of our vehicles are HPI clear. All our cars are fully prepared to a high standard and will be fully valeted prior to sale. Please call to discuss this fantastic car in more detail. Family run business, open 7 days.